Scenes of unreality and mind-bending perspectives will be on display next month at the first solo exhibition by North East photographer Helen Taylor. 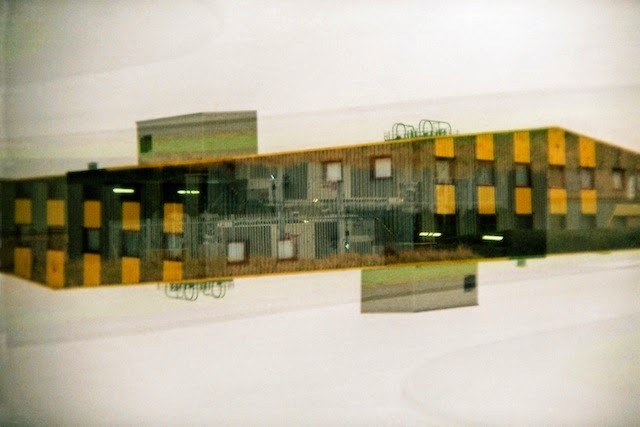 Entitled Stanley2, the exhibition will feature a series of stunning ‘multiple exposures’ - achieved without using Photoshop or digital editing – and taken exclusively on Helen’s 35mm Holga 135BC analogue camera. Multiple exposures, a technique used to superimpose two or more images into one, has been adopted by Helen to document her hometown of Stanley, County Durham, while presenting a beautifully atmospheric ‘ghost world’ where the lines between what is real and what is not are blurred. Helen decided to study photography at Newcastle College in 2012 after a lifelong passion with the medium. In an era of digital photography, Helen is passionate about the unique qualities of film and the effects that it can be used to create. “What excites me about film photography is the mechanical and chemical processes that have to take place in order to create your image,” Helen says. “We live in a world where photography is available on demand and has become, in a sense, quite a throwaway medium. Helen, who owns a collection of more than 50 vintage cameras, both analogue and digital, adds: “I took these photos with a Holga 135BC camera which is a very basic plastic camera (even the lens is plastic). It’s sometimes called a ‘toy camera’. The key feature is that the film advance allows you to take multiple exposures. “I find the results I get from this camera are dramatically different from anything digital. My technique is to take the first image the right way up and then without winding on the film advance, turn the camera upside down and take it again.